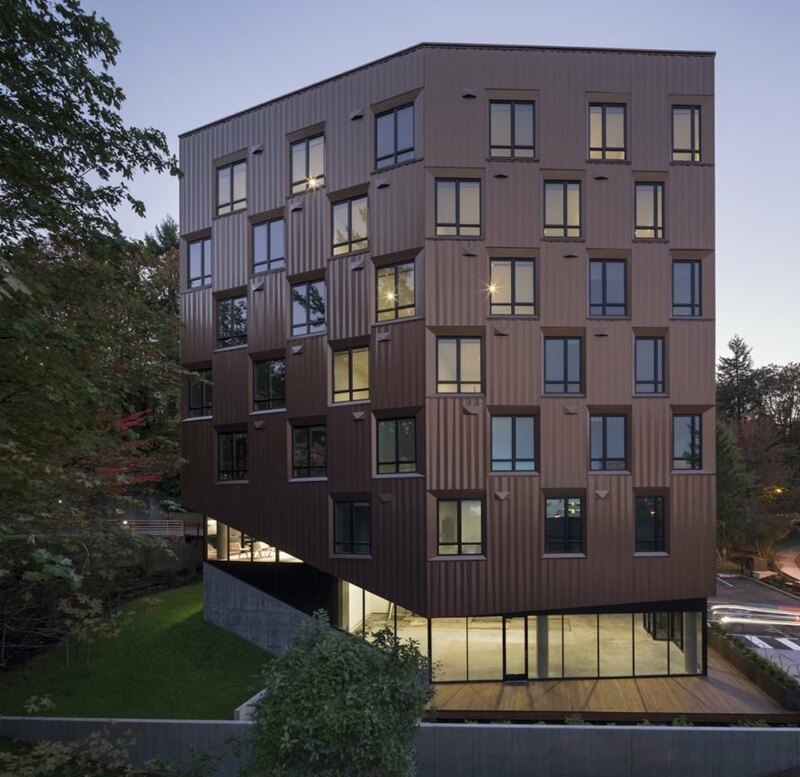 With projects like LEVER Architecture’s recently completed Treehouse, it’s little wonder Portland, Ore. scores high marks for livability and sustainability. 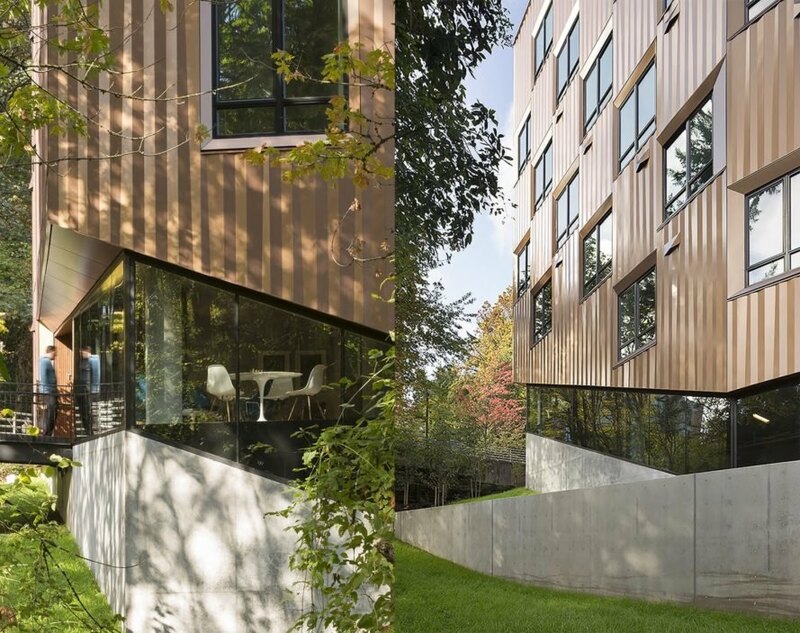 Located on the Marquam Hill campus of the Oregon Health & Science University (OSHU), Treehouse caters to those interested in a “live/work/no-commute lifestyle”. The seven-story mixed-use building houses 69 apartment units as well as retail on the ground floor. The apartment units are clustered around a compact central core housing the stairs and elevator. Glazing can be found on all sides of the irregular octagonal building and maximize daylight into the studio and one-bedroom units. 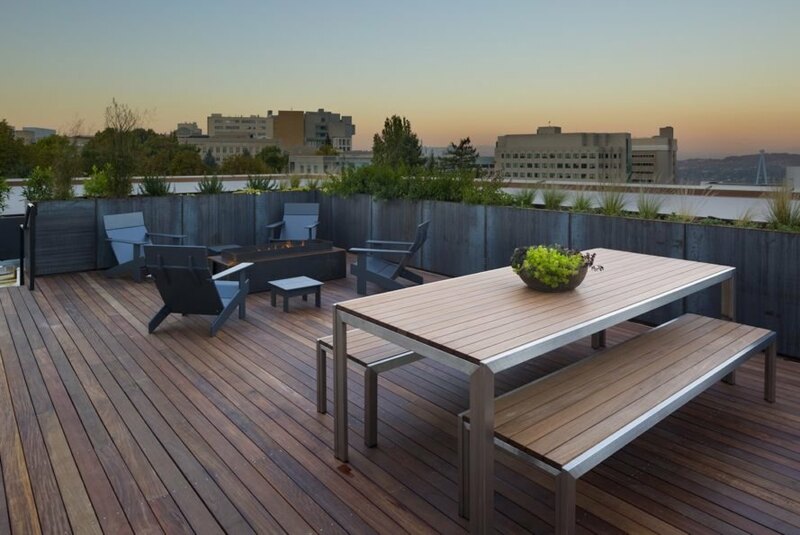 A rain garden landscape and deck on the lower level handles all stormwater runoff. 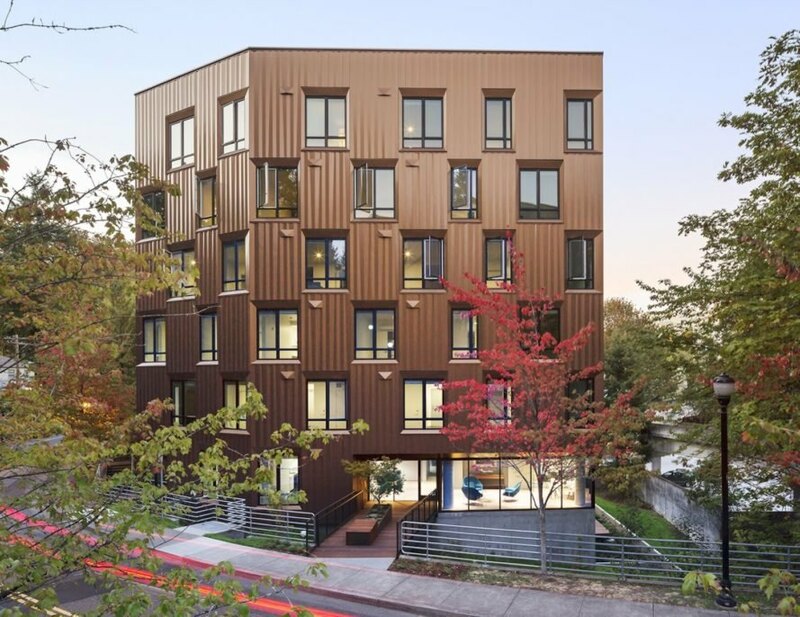 With projects like LEVER Architecture’s recently completed Treehouse, it’s little wonder Portland, Ore. scores high marks for livability and sustainability. 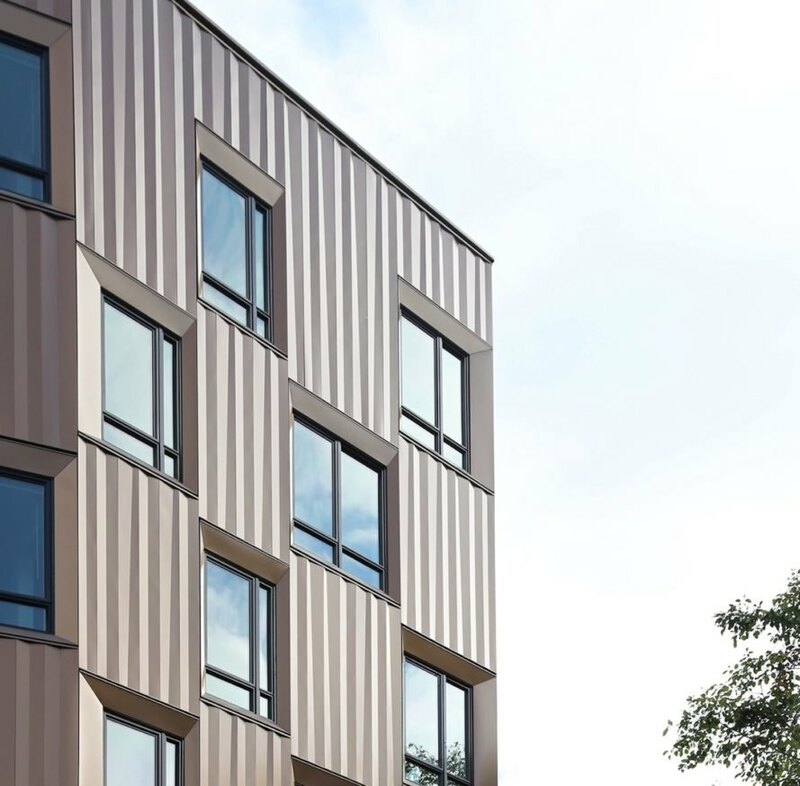 Located on the Marquam Hill campus of the Oregon Health & Science University (OSHU), Treehouse caters to those interested in a “live/work/no-commute lifestyle”. Designed for mixed use, the seven-story houses 69 apartment units as well as retail on the ground floor. Taking cues from the forest, Treehouse is wrapped in a textured metal skin that mimics the color and form of tree trunks. The facade’s consistent texture and pattern give the building a dynamic depth and appearance that changes throughout the day. 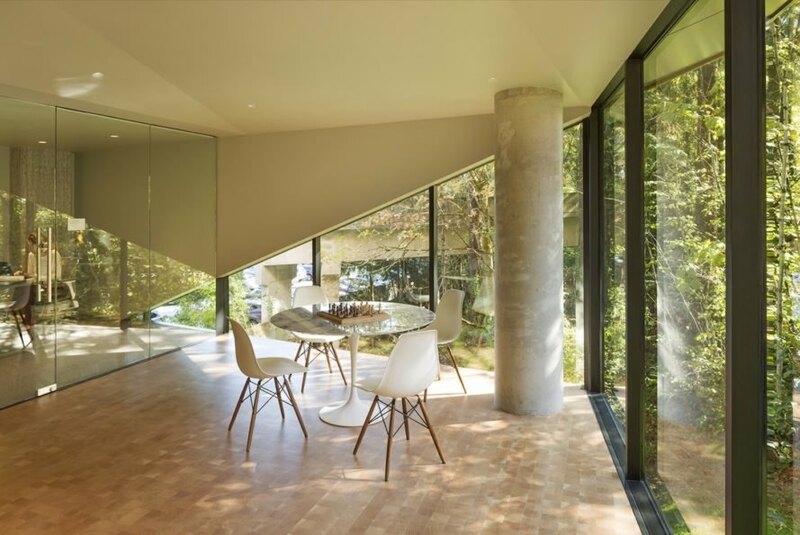 Glazing can be found on all sides of the irregular octagonal building and maximize daylight into the studio and one-bedroom units. 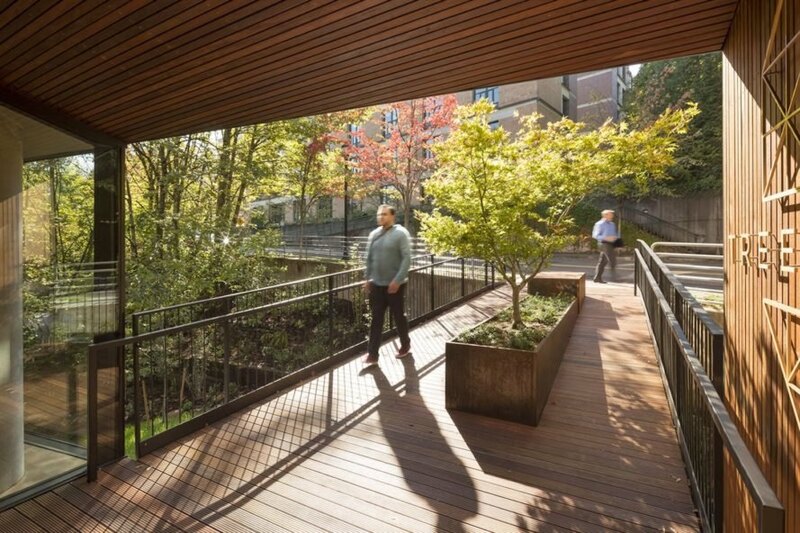 A rain garden landscape and deck on the lower level handles all stormwater runoff.